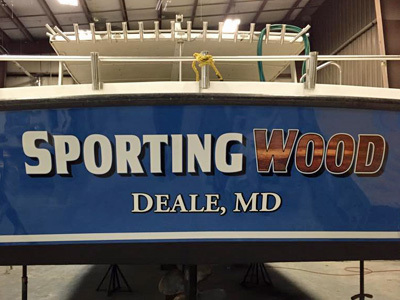 The Sporting Wood is a 45 ft. x 15 ft. Chesapeake, built in Crisfield (MD) where most Bay charter boats are constructed. 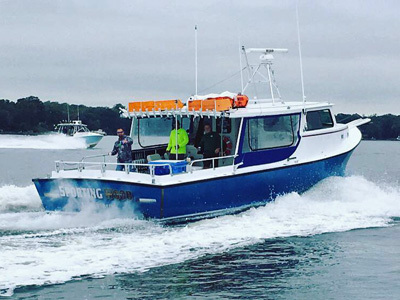 She's powered by a 450hp Cummins Turbo Diesel that pushes her to a cruising speed of 18 knots. 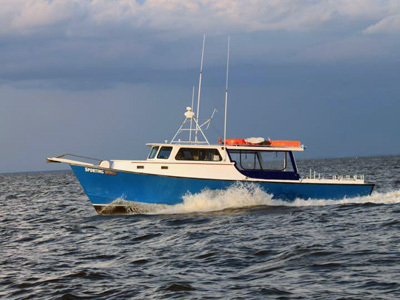 She's loaded with all the fishing tackle and other equipment you'll need to catch a bunch of fish. Electronics include a GPS Chart Plotter, long-range radar, multiple fish finders and numerous ship to shore radios. 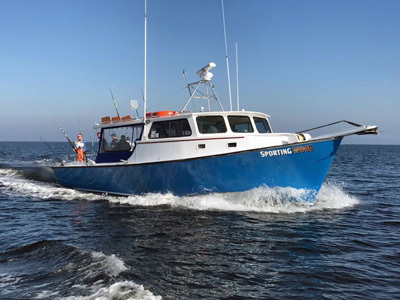 The Sporting Wood is certified by the US Coast Guard to carry 30 passengers. For more information, call Captain Joe Cox at 443-336-5697 or send him an email .